The biggest sales on CBD products is coming your way on 20th April. The 4:20 is considered as one of the biggest days in the Cannabis industry and has a huge cultural importance.And this is why companies selling marijuana/cannabis products announce amazing discounts on their products! Products Available: Flavoured full spectrum CBD oil drops and isolate (0% THC) gummies. Sale details: Apply Coupon GT420 at checkout and get 30% off. 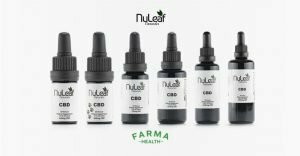 Products Available: Premium full spectrum CBD oil drops made from 100% organic hemp grown on select farms in Colorado. More info: Free shipping on all U.S. orders. It also provides international shipping except Canada. Products Available: Full spectrum and isolate (0% THC) tinctures, vape liquids, vape pens, capsules, gummies,disposable and topicals. Products Available: Broad spectrum (0% THC) drops, gummies, capsules, topicals,vape liquids, and bath bombs.